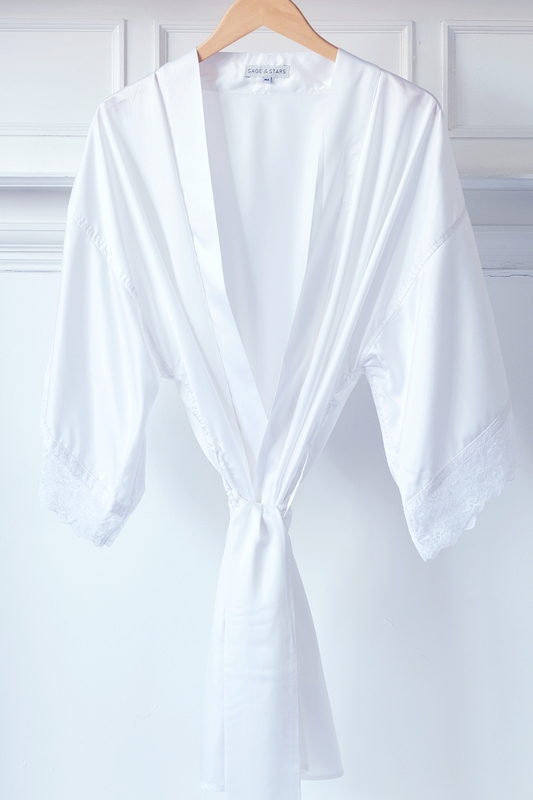 An elegant robe in white bamboo silk, featuring vintage inspired drape sleeves with white lace trim. Perfect for the beautiful bride on her wedding day, a really special item to treasure forever. 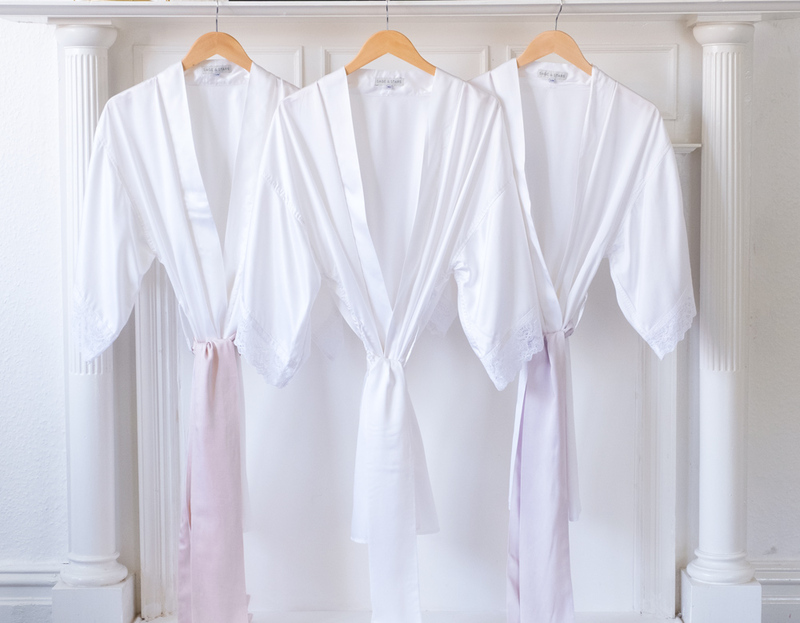 Our Ophelia Robes are dyed in a closed loop system using GOTS approved non-azo dyes, ensuring the production process is eco-friendly. Ophelia Robes come with a soft lavender belt tie which is truly unique due to the use of natural plant dyes.